Find My Workspace lists over 95% of the serviced offices market in Brussels. Simply click Request Quote to check pricing for one office, or Add to Basket for multiple offices. This centre provides a bright, shared office space for professionals and corporations at the heart of the expats district in Uccle, Brussels. Looking for a coworking space? Sit at one of the 30 available mobile desks and become a part of this professional community in Brussels. The centre also proposes luminous, private offices with a shared kitchen, an attractive lounge room, a phone booth and separated toilets. Your business will benefit from the centre’s 24 hour access and security, allowing you to operate through the hours you want with peace of mind. The centre also have a fitness suite to enhance your overall well-being at your home away from home. The business center is situated at 250m from the European Parliament, in front of Metro Trône. All offices are brand new, state-of-the-art, fully equipped and have plenty of natural light. Thanks to its situation, its beautiful interior garden and its private restaurant, this building is one of the top locations in Brussels. The parking has two entrances and is thus very accessible from the interior ringway (exit in front of the building). Start working in the vibrant heart of the European District and enjoy the complete offering of this location: private showers, a very large reception area / lobby, security guard and reception from 07.30 to 17.30, laundry service, car wash, delivery of food and non food products and a separate space for YOGA. The subway at Trône takes you to the Brussels South station (TGV, Eurostar) in just 4 stops. Buses: 7 bus lines around the corner. The Brussels-Luxembourg train station is at 400m away. This business centre offers both serviced and co-working solutions for optimum flexibility for companies that are versatile and want a dynamic approach. The centre itself is accessible 24 hours a day, and has an on-site secure car park; ideal for companies with international clients or require late working hours. You are also supported by a friendly on-site admin team who can assist with any queries you may have, ensuring your operations run efficiently. Why not make use of the on-site meeting rooms to catch up with clients? It establishes the perfect collaborative atmosphere for effective productivity! This dynamic business centre is a co-working and innovation space hosting a community of entrepreneurs, innovators and creatives. Grow and work alongside like minded people in a sustainable building, flooded with natural light surrounded by a garden to energise your creativity and boost your projects in a stimulating and collaborative environment. The building is accessible 24 hours a day so is well suited for working hours. You can also make use of the on-site meeting room if you have clients visiting you, or would like to convene collaborative projects within an attractive well-designed space. This business centre is home to 24 offices with spectacular views of Brussels. You will benefit from a prestigious business address in the heart of the city in the Châtelain neighbourhood. A reception with on-site management will greet your guests, ensuring a contemporary and modern feeling. Your meetings and professional networking is made as easy as possible with à la carte service, and a beautiful waiting area can be used flexibly. This centre enjoys a beautiful business lounge, modern and convenient, the ideal temporary work space for a business man on the move. For a cheaper office, we have a shared space campus solution, allowing you to stay flexible at a cost efficient level. This centre is perfect for companies that value convenience within attractive spaces. The site offers a full range of services to help your business run efficiently. The space enhances productivity through its 24 hour accessibility, administrative and IT support, and reception services. In addition, there are conference facilities to use at your disposal. 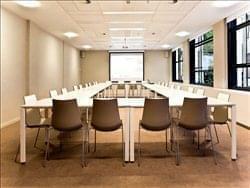 High-end, fully equipped and fully furnished offices in the center of Brussels. These extremely competitive all-inclusive offers give you working spaces, meeting rooms, business lounge, cafeteria, restaurant, garden, high-speed Internet connection and a famous address along with other advantages. A stimulating working environment that provide the development of your network and gives a new dimension to your company, by combining all the services and advantages of a multinational at an extremely competitive rate. Your business can benefit from the centre’s 24 hour access and conference facilities, allowing you to work and convene meetings at whatever time of day. There is also administrative and IT support on-site to assist your operations. Built in 1936 by a Belgian family, this is an imposing town mansion inspired by modern art and the fine arts, whose current car parks were originally the stables of the residence. This building has beautiful architecture and a non branded environment, so clients are in their own office. Companies are allotted 15 hours of free meeting room use and 1 day per month of free meeting room use abroad. Great ICT packages are included as is use of the south-facing roof terrace, accessible to all the clients and their visitors. The atmosphere at this centre is unparalleled, enhancing collaboration and inspiration. Additionally, there are a range of useful services which are greatly beneficial to the operations of your business. Employees can take advantage of the multilingual onsite management team who are available to deal with any enquiries that may arise, alongside modern facilities such as showers, kitchen and fitness centres. This centre also has 24-hour access and security which allows for seamless working hours and is immensely useful for any employees that are required to deal with clients or partners from different time zones. 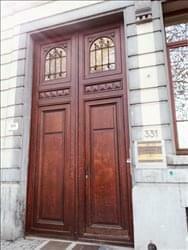 This well situated, high-end, fully equipped and beautifully furnished offices in the center of Brussels. The offices give you high quality working spaces, meeting rooms and a business lounge to conduct your projects, whether its individual or in a forward thinking group. 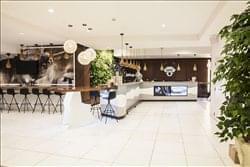 The onsite cafeteria and high-speed Internet will keep you connected in addition to its prestigious address, giving your business a strategic presence. You can benefit from a highly stimulating working environment that provides the development of your network and gives a new dimension to your company, by combining all the services. This professional business centre offers virtual office options for aspiring professionals looking to further their business development in a great location. Located in the business hub of Brussels, you can benefit from a variety of professional services which are ideal for supporting new start-up businesses and freelancers. Services include taxation services, financial consultations, pay roll services and many more. Here you will find everything you need to ensure your business gets off to a great start. Your membership will also include access to meeting rooms available on-site which come ready to use – providing the ideal place for internal meetings or meeting with your clients and colleagues. A place to do business in style and comfort, this Brussels business centre gives you a prestigious location in one of the city’s tallest, most recognisable buildings. The tower is home to numerous firms, including companies from banking, finance, and professional services. With 24 hour access and administrative support on site, this is the perfect centre for businesses that value convenience and efficiency. There are hot desks and meeting rooms for both individual and collaborative projects. Rest assured, you’ll stay well connected at this well situated office space with the rest of the city at your fingertips. This business centre, located in Brussels European Quarter, is a new home-base for any kind of business, and provides the best facilities that will ensure companies can flourish within an attractive setting. Meet and work in an inspiring atmosphere that enhances focus, productivity and efficiency. The workspace has both private office spaces and co-working spaces with options for a dedicated desk to enable optimum flexibility. Other amenities include; 24 hour access, admin support, meeting rooms, ultra fast broadband, Wi-Fi, secure car parking, furnished or unfurnished offices and telephone answering. This cosy office in the heart of Brussels provides a place for professional to find their inspiration, productivity and growth. The interior of this building is comfortable and homely, with personalised care and assistance to suit your needs and the needs of your business. Offices are beautifully designed with a mixture of modern and period. Large windows allow for plenty of natural light, creating a refreshing and productive atmosphere. A range of bespoke packages allow you to choose the workspace you need, whether that is a private office, fixed desk in a collaborative space or a flexible space for only 2 days a week. You can also benefit from this prestigious business address in an affordable and reasonable way using virtual office options. All workspaces benefit from a range of amenities which includes postal services, free refreshments and showers. Additional services are available upon request which range from secretarial services, financial guidance, parking and catering. You will also have access to meeting rooms and social rooms where you can hold informal meetings or events. 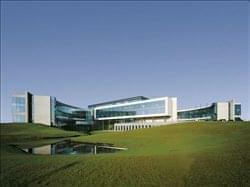 This centre is an internationally renowned place to work, located right at the heart of Europe. This centre provides 24-hour access for your convenience, allowing you to work how and when you choose. The offices are open-plan and furnished, making them highly adaptable to however you wish to operate your business. There are also private meeting rooms so you can collaborate in an ideal atmosphere. Shared internet and IT support ensures that your operations stay well connected, managed and secure. The convenient parking and its strategically central location will surely enhance the efficiency of your business. Based in a beautiful complex in Anderlecht, this business centre offers a range of impressive workspaces including private offices, coworking spaces and virtual office options. You can not only benefit from this prestigious location in a fantastic area but also fully equipped offices with state-of-the-art technology. Meeting rooms are available on-site and can be used flexibly for conferencing purposes. With large floor-to-ceiling windows, the rooms are filled with plenty of natural light. You can also enjoy a break on the beautiful private terrace. This space is guaranteed to meet your business requirements and ensure you can work productively and comfortably. Located in a high-quality building, these offices are equipped with a minimum of two workstations with a complete service package including secretarial support, meeting room and a friendly atmosphere. This centre has been assisting companies for more than 20 years. At this centre, your company can take advantage of IT support provided for the shared internet so that your operations stay well connected and running smoothly throughout its occupancy. In addition, there is also administration support there to enhance the efficiency of your working day. The centre is accessible 24/7, allowing you to work through late hours for however long you please. This centre is located in a historical 1927 townhouse (“maison de maître”) and is one of the hidden gems in Brussels: behind the gorgeous BeauxArts façade each guest will discover a genuine welcoming and unique working environment. Beyond the high-level office services, you can expect much more from your stay in this unique shared house. Managed by the owners of the house since 2006, members appreciate the unique level of hospitality where every detail is carefully selected to make everyone feel comfortable. Every office in the house offers unique features like a chimney, private terrace, wooden floors and marble details. The views on the garden or on St Michael Church as well as the abundance of light, give the right energy to get the job done. With the friendly and experienced team, three high-end equipped meeting rooms, showers, a nap room, surprise catering at your disposal and a sumptuous garden; members have everything they need to grow their business and progress naturally. healthy break in the garden and end your day feeling productive and relaxed. Offering impressive and modern office solutions in a high-class location, this business centre will fulfil all of your business needs. The design is inspired by the Inuit tribe, with fascinating traditions and artefacts used to decorate and creating an inspiring environment. Work spaces are professional and fully equipped with high speed internet and top of the art IT infrastructure. You will have access to sleek and stylish meeting rooms, ideal for conferencing and much more. The membership offered by the centre is flexible, whether you are looking for somewhere to work for a day, week, month or year. 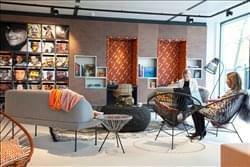 There is a beautiful relaxation lounge where you can chill out during the day or hold informal meetings. This centre enjoys a beautiful business lounge, modern and convenient, the ideal temporary work space for a business man on the move. For a cheaper office, we have a shared space campus solution, allowing you to stay flexible at a cost efficient level. Located in the heart of historic Brussels, this listed “hôtel de maître” provides a great place to run your business with easy access to the historical city centre and a wide range of useful services to be utilised. These include fully equipped meeting rooms, substantial administrative support, conferencing facilities, copy & printing services, 24-hour access and a professional maintenance team who ensure that the daily upkeep of the office-space is handled responsibly. In addition, some of the spaces are complete with private terraces for hosting informal meetings and relaxing away from your workstation. There is also a dedicated reception desk who are available to greet guests with professionalism. A secure parking is also available on the premises, as well as a multilingual support team who are available to assist with any enquiries that arise throughout the day. The building has everything you will need to run and grow your business including a modern work environment and the newest building technologies from access control to energy efficiency. The office spaces enjoy a beautiful, welcoming reception area, state-of-the-art meeting rooms, a business lounge, restaurant facilities, underground parking and even a garden. In this centre, you have the opportunity to switch between private and open office environments to keep you motivated. This centre provides not only a professional workspace but also an open, dynamic and pleasant atmosphere simply to relax or brainstorm. The four buildings at this office complex are situated around a peaceful central garden, fitted with benches to take a break. Tenants and visitors enter any of the four buildings through a prestigious marble finished entrance hall, then step into one of the elevators bringing them to an energy efficient and perfectly air-conditioned office floor. All around windows guarantee an abundance of natural light anywhere in the office. The building complex also houses a women’s fitness center, business center and the free use of bikes. The size of the floor can easily be adjusted to meet the customer’s demands, from a full floor to half or even a quarter. Apart from this standard set-up, also available are ready-made offices which can be designed according to your needs, including decoration and furniture. Custom variations on these options are also possible. All offices will be fully furnished with the most modern topnotch interior design and furniture. A lounge-like reception space, free Wi-Fi, large meeting room, fully equipped kitchenette with refrigerator, Nespresso-coffee machine, and dishwasher. All you really need to perform well in a nice office environment. Offices are available for one person, or team rooms for two, four or more coworkers. This strategically placed business space in the European Quarter of Brussels offers a professional and modern working environment for entrepreneurs. The building boasts and impressive range of in-house services and on-site facilities. Membership terms are flexible and with bespoke packages you can choose the terms which suit you. The building offers an on-site café where you can enjoy a barista style coffee. The centre also offers meeting room access, a library lounge and welcoming areas. Office supplies are provided, as well as mail services and secretarial support to ensure your day runs smoothly. Printing facilities are included in your membership based on a credit system. This outstanding, well-designed centre offers you a modern office environment. All five office wings are connected through an impressive atrium and above all. This centre provides everything that demanding fast-growing businesses need today, right down to furnishings and office equipment. All complemented by professional support and reception services. This centre is ideal for businesses of any background, owing to the adaptable office spaces and the multi-lingual services on-site. You can benefit from the centre’s 24 hour access and security, allowing you to work through late hours with peace of mind. Corporate Village is a business park situated at only a stones throw away from Brussels International Airport. In one of the six towers, the ‘Elsinore’ tower, we offer a wide range of office and meeting products. The Business Centre, built in 2012 is architecturally designed to provide maximum light and space in the high tech modern interior, with optimum use of glass en style full use of colours. The energy and ambiance creates a comfortable and stimulating working environment with fully furnished office space, meeting facilities, lounge and break out areas, flex spaces, a modern pantry with informal eating area and extensive reception services. The office offers a professional, modern working environment that seeks to make your work space more comfortable and a more productive place to do business from. Your office would be fully serviced with a full range of office furniture that can be personalised to suit your working style. Customised lighting, heating and air conditioning are also provided and the offices are refreshed with clean air on a daily basis. Friendly staff in the centre with be there for all business needs, whether it be reception services, answering phone calls or organising your post they will aim to help you get the optimum support needed to get the best from your business. The centre also supplies a wide range of meeting rooms that can be booked at short notice a long with break out areas for less formal meetings. When needing to take a break, there is access to cafes , restaurants, pop up shops and fitness centres all there to make your working day a better experience. The rental offices are on the second floor and the large windows ensure plenty of natural light. By sharing your reception services, meeting rooms, mail handling, kitchen, copiers, printers and data/voice infrastructure you can make an important cost reduction compared to when you would need to finance these by yourself. Not to mention that the maintenance and the updates for all those facilities are included in the price. For independents, this centre offers a higher quality workspace than a small stand-alone or home office. For companies, they offer the opportunity to have a headquarters and several satellite offices. Situated in the forest of Soignes, this building provides 21 offices making up a total space of more than 1,300m². The offices benefit from great views and natural light and are complemented by four meeting rooms, in which you can conduct your best collaborative projects. You can also benefit from a great atmosphere, with air conditioning to keep workers as comfortable as possible all year round. The free wifi will keep you well connected, and there are kitchenettes you are able to use at your disposal. Its interior is fully dressed with high quality furnishings, and the offices have an abundance of natural light. This highly adaptable center enjoys a beautiful business lounge, modern and convenient, the ideal temporary work space for the travelling professional. Providing you with completely furnished offices which you can customize to your desires and your budget, from a single day use to contracts lasting for years. For a cheaper office, we have a shared space campus solution, allowing you to stay flexible at a cost efficient level, as well as being a great place for networking with like-minded individuals. There are also meeting rooms and a business lounge available for your use in addition to the centre’s 24 hour accessibility. 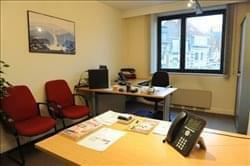 If you are looking to rent an office or a meeting room in the center of Brussels, this business center offers an excellent solution at an affordable price. With a breathtaking view of Brussels, no doubt your customers will be impressed. The site is fully furnished and is equipped to meet all the needs of a modern company. The multilingual team and elegant infrastructure will ensure your company has a competitive advantage. Quality amenities include private underground parking, a videoconferencing system, as well as fantastic meeting rooms. Please do not hesitate to contact us for more information. 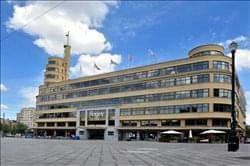 These serviced offices are located in one of the most outstanding Art Deco buildings in Brussels. The loft style offices enjoy an abundance of natural light and amazing views with views of the Etangs d’Ixelles and the Place Flagey. The office areas offer a nice and high quality work environment. The office space can also easily be used in open space or individual office, whatever is beneficial to your working needs. You can also make use of the different services of the building including the on-site reception, the fitness room and fully equipped meeting rooms. Servcorp has been operating in Brussels for more than 20 years and offers total business solutions for Start-ups, SME’s and multinationals. This fully-managed office building offers spectacular views, stunning interior design, immaculate corporate meeting rooms, and access to first-class IT and secretarial support. Choose from stunning private offices, large training rooms, conference rooms and corporate boardrooms equipped with the latest technology. This centre enjoys a beautiful business lounge, modern and convenient, the ideal temporary work space for a business man on the move. For a cheaper office, we have a shared space campus solution, allowing you to stay flexible at a cost efficient level. With 24 hour access, you can work through late hours. This is especially ideal for companies with international relations or clients across different time zones. In addition, the centre also offers conference facilities and reception services, ensuring your company maintains a prestigious presence. With administrative support, your company is sure to run as efficiently as possible. This building, which has been thoroughly renovated and appointed with the best technological equipment, opens to the outside via a magnificent transparent frontage with glass floor-to-ceiling. Offices and meeting rooms are available for rent as and when you need them and for as long as you require. Your offices and meeting rooms are laid out, furnished and equipped according to your requirements. Your business can benefit from this centre’s administration support and IT support on-site that are happy to ensure your business remains well connected and running efficiently throughout your occupancy. This centre is located in the international district situated next to the Montgomery Square and the avenue Tervuren. This business centre offers an up-market environment that is non branded, so you can make these offices your own. 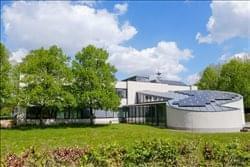 It features a very attractive garden which has a meeting room right in the middle; a completely unique element in Brussels that will give your company a strategic advantage. As a tenant you will have 15 hours of free meeting room use, 1 day per month of free meeting room use abroad and ICT packages are included. Furthermore, there is 24-hour access and security so you can work through late hours with peace of mind. This business centre has all you need to work at your best, whether it’s with others in collaborative co-working space, alone in a private office rental or planning your next business move over a coffee in a stylish conference room in Brussels. The building is accessible 24 hours a day, so is well suited for any kind of working hours. The offices come furnished on flexible terms and with all inclusive pricing you won’t find any hidden charges at the end of the month! The office suites can also be designed to suit your needs and can be adapted to open space or closed offices. The office lighting is also adjusted according to the brightness of the outside light. This business centre has a warm town house atmosphere and has a beautiful landscaped garden. As a tenant you will have free use of meeting rooms, 1 day per month of free meeting room use abroad and ICT packages are included. 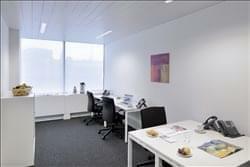 The location offers a large choice of services in the Brussels Business Area, next to the Parliament and a few steps away from the EU Headquarters. This centre is well situated in terms of public transport as well, only 5-minutes walking distance from the Central station and extremely close to the Madou underground station. This ideal location allows for employees to maintain relationships and visit clients around the city with ease. 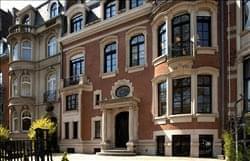 These two charming, recently renovated mansions offer traditional office leases with all the business center services. Offices are not fully equipped but are à la carte. Clients can have the services they desire. This centre offers a real tailor-made service for clients. Parquet floor, wooden stairs, and our lovely garden offer an exceptional environment to our clients. Our clients benefit from membership to a serviced office network. Your business can benefit from the centre’s 24 hour access and conference facilities, allowing you to work and convene meetings at whatever time of day. There is also administrative and IT support on-site to assist your operations. This centre is the perfect solution for the modern businessman on the move. It features an attractive business lounge, as well as conference facilities to allow you to convene meetings and training seminars in wonderful settings. There is also a shared space campus solution available, allowing you to stay flexible at a cost efficient level. The building it is the perfect synergy of historic architecture and modern amenities, which include secure underground parking for your convenience, 24 hour CCTV monitoring for your peace of mind, a cyber café to keep you well connected, as well as an on-site lunch restaurant. 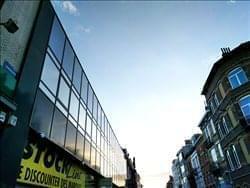 Very attractive and perfectly situated in the heart of Brussels, this is a prime location for businesses that want accessibility and quality amenities at their disposal. Walk into a high class and beautifully designed reception in a non-branded environment that is sure to impress clients and visitors. Outside, there is a nice patio allowing customers a pleasant moment of relaxation, as well as being perfect for lunch breaks or after work socials. You will also have 15 hours of free meeting room use, 1 day per month of free meeting room use abroad, and ICT package are included to ensure you stay well connected! The facility offers innovatively, elegantly furnished offices for rent; meeting rooms; a sophisticated location for events; state of the art internet technology; videoconferencing; 24/7 access using smart cards; video surveillance and security systems; complete office furnishings; air conditioning; soundproofed walls; advanced telephone services; reception assistance; daily cleaning. This centre has more than 80 plug & play serviced offices spread over 6 floors. Each is fully furnished, cabled and able to house between 1 and 6 workstations. The structure offers virtual offices (97 euro per month) and shared offices (370 euro per month) with soundproof booths for private calls. On each floor there can be found break areas with a kitchenette, where clients can enjoy a moment of comfort during their breaks. This high end virtual office is found right beside Brussels Central Station. Offering a variety of workspaces which are inspiring and refreshing, this centre offers modern office solutions. Spaces are designed to meet all your needs, no matter whether you are a small or large team. Terms are fully flexible, ranging from daily renting up to a year or more. Meeting rooms come beautifully furnished with unique pieces and furnishings. You will also benefit from fully equipped conference rooms, high speed internet and excellent IT/telecoms infrastructure. The centre also comes with an on-site bar, restaurant and parking. Other perks include a dry cleaning service and shoe repair service. These tasteful offices have been renovated to a high standard and offer both co-working and serviced office space as well has having the ability to hire out the on-site meeting rooms. The building is accessible 24 hours a day so is suitable for any kind of working hours. Here, offices come fully furnished and pricing is all inclusive. This postal address in Brussels is perfect for a range of businesses from freelancers to financiers. You’re also supported by a manned reception who can assist with; mail handling, telephone answering and greeting your clients. This is an impressive business centre opening soon, providing furnished office-space solutions available to let on flexible terms. All work-spaces benefit from plenty of natural light throughout the day, boosting productivity and creating a serene working environment for all aspiring tenants. Other useful amenities include high-speed internet connection, reception service, copy & printing facilities and fresh beverages. In addition, the business centre is accessible 24-hours a day, allowing workers to choose working hours that suit individual business requirements. There is also a professional cleaning service employed which ensures that the daily upkeep of the building is handled responsibly. Looking for an office solution in Brussels? We are your one-stop answer with flexible packages tailored to your requirements and budget. All of the furnished Brussels offices are tastefully finished and offer communication networks including phone line and high-speed broadband. On-site staff can receive, sort and store your mail and fax messages, answer calls in your absence and forward on any messages. The prices include office rental and furniture, 24-hour office access, daily maintenance, electricity and heating costs, local property tax, free use of the conference rooms and all the reception services from mail processing and call handling to receiving your clients. This solution is ideal for companies wanting to set up in Belgium. You avoid all the administrative and bureaucratic hassle involved in taking out a commercial lease and organizing office equipment and furniture. An impressive business centre in the heart of historic Brussels, providing a variety of furnished office-spaces available on flexible terms. All work-spaces benefit from plenty of natural light throughout the day, creating a positive and serene working environment for all tenants. Here, aspiring businesses can also take advantage of the high-speed internet, equipped meeting rooms, reception area and conferencing facilities. In addition, the centre is accessible 24-hours a day, further increasing the flexibility provided to workers and allowing them to tailor their working hours to suit individual business requirements. A secure parking is also available on the premises, as well as a multilingual support team who are available to assist with any enquiries that arise throughout the day. This business centre has an amazing 2,488m² of space in this tower which is being transformed into modern, flexible, serviced office space. Located in the heart of Sablon the space offers beautiful views, state-of-the-art IT infrastructure, modern interiors, breakout areas and meeting rooms. Whether you need space for two people or 100, these stylish serviced offices will cater to you allowing for flexibility and growth. This business centre will be staffed by first-class centre representatives offering award-winning customer service, enabling your company to run as efficiently as possible throughout its occupancy. 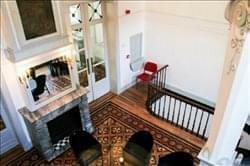 This business centre in the heart of the European district houses 60 excellent serviced offices. Found next to the Parliament, with direct metro links to the Thalys and Eurostar terminals your commute will be convenient and easy. All offices come fully equipped with advanced technology to enable video conferencing and meetings. Spaces can be used in a variety of ways, for training sessions, workshops or group working. High speed internet and VOIP is also available. 4 meeting rooms provide plenty of space for work, with co-working spaces that can be used on an hourly basis. These flexible terms are designed to suit you and your business needs– so you never pay for more than what you need. Competitive prices and compressed fixed costs ensure that this centre is the best you can get. A kitchen is available to make your lunch times, tea and coffee breaks more convenient. 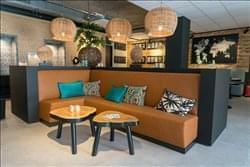 Beautifully designed waiting areas are here to impress your business guests, or to serve as a lounge area. This centre enjoys a beautiful business lounge, modern and convenient, the ideal temporary work space for a business man on the move. For a cheaper office, we have a shared space campus solution, allowing you to stay flexible at a cost efficient level. At this centre, you can have full access to other centre’s worldwide, as well as 24 hour access to this hub; the perfect workspace solution for companies with international clients. You can work through late hours and enjoy IT support for the shared internet provided, so that you stay well connected and running as efficiently as possible throughout your occupancy. This well designed centre is located on the very prestigious Square de Meeûs, at the heart of the EU District and 200 meters away from the EU Parliament and the Luxemburg train station. 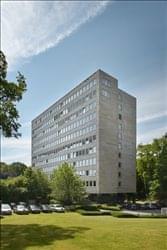 This centre occupies the 3rd and 8th floors of this building with a magnificent view on the green Square de Meeûs. The space consists of 1800m² of entirely equipped offices, allowing your business to choose the office solution that best suits their needs. For example, your company can benefit from this centre’s on-site management team to help your business run as efficiently as possible throughout its occupancy. This centre is found within an airport building, making it an ideal location for working on the go. Home to hundreds of companies, over 20,000 people are employed here. Found on the 4th floor promenade of the airport, the centre consist of 10 meeting rooms, with rooms accommodating up to 22 people in board rooms and 80 people in theatre style rooms. There is easy access to the departure and arrivals areas, allowing visitors to attend meetings within minutes of landing. Convenient parking is available for you and your clients. Several hotels are located nearby the centre, with unlimited high speed internet to keep you connected at all times. The airport has been awarded the Best Airport in Europe title by the International Air Transport Association based on a survey carried out of over 100,000 passengers. To obtain information for your selected Brussels Serviced Offices, please tick the "Add to basket" box for each office you prefer and complete the form below. We will then send a detailed report via email.